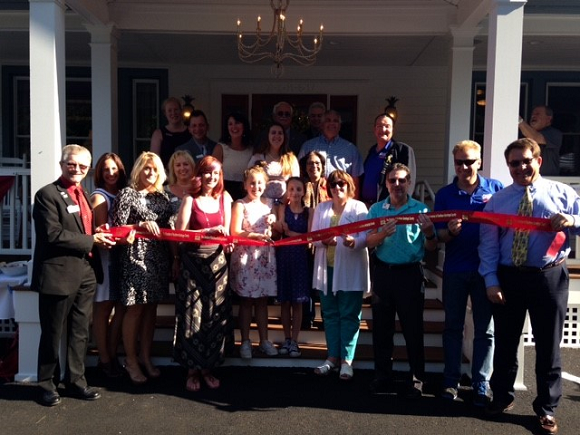 A ribbon cutting to celebrate the renovations at Townley & Wheeler Funeral Home was held on 06.28.2017. Pictured center is Kathleen Sanvidge, Owner along with staff, family and friends to celebrate the new edition to the building. Cutting the ribbon is Kathleen’s daughter and her best friend. Joyce Maddalone from Mother Teresa Academy; Garry Packer from Walton Realty Group; Rick Noel, owner of eBiz ROI; and Louis Dahoda from Edward Jones.